Book an IV Hydration Treatment or Vitamin Injection Online! Scheduling Your IV Hydration Appointment in Orange County is Fast and Easy! If you’ve been here before, welcome back. You know what to do. Book a one-time vitamin drip or vitamin shot today, or save up to 33% on multiple treatments with our IV & vitamin injection package pricing. If this is your first time at Boost Hydration, get ready to feel spectacular. 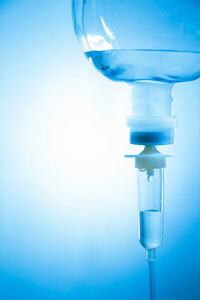 Our IV therapies and vitamin injections are the simple solution to whatever ails you. You’ll have more energy, less pain, better moods and improved overall health. Intravenous hydration infuses essential vitamins and nutrients directly into your bloodstream, ensuring you get the maximum benefits of IV therapy instantly. Whether you’re an athlete, a frequent traveler, an active parent, a busy professional or just want to look and feel your best, book an appointment today and experience the benefits of Boost Hydration for yourself! Choose your favorite IV therapy or vitamin shot and make an appointment with our secure online booking. Book a treatment just for you to get a little relaxing me-time, or make it a party with a private group IV treatment. Buy Boost Hydration Gift Cards Instantly Online! Everyone can use an extra boost! Our e-gift cards are easy, thoughtful and perfect for any occasion. Buy online and send instantly or delay send so you’ll never be late with a gift again. Available in the amount of your choice! Not quite ready to book yet? Call or contact our Orange County IV hydration bar online for more information.